A bit of a quiet news day today, so I decided to check out the latest releases on the Atari forums, and sure enough we once again came upon a game called 'Alice's Mom's Rescue' created by Orion_ which we wrote about some months ago, that did end up being a Steam Greenlight success. 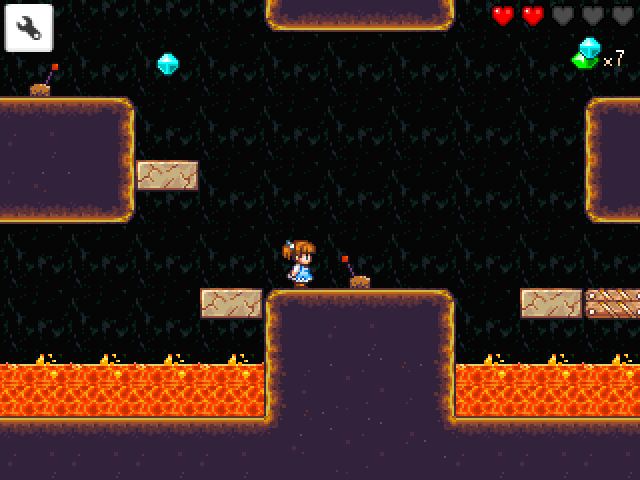 A game with lovely old school pixel art and a female character in a world of cute, has since been updated with its very own Atari Falcon CT60 and Firebee release. 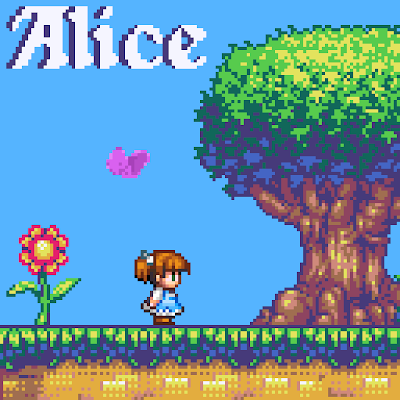 In Alice's Mom's Rescue you have to traverse through 3 worlds and 25 creative levels by solving puzzles and avoiding enemies such as evil cats, birds, bats and spikes! Through the use of the size changing mechanic by jumping on mushrooms, your character can also change size which can aid you to get through tiny spaces and to avoid deadly situations. If you don't have an Atari Falcon CT60, then the PC and Linux release is still available on the main page and soon to be Steam.